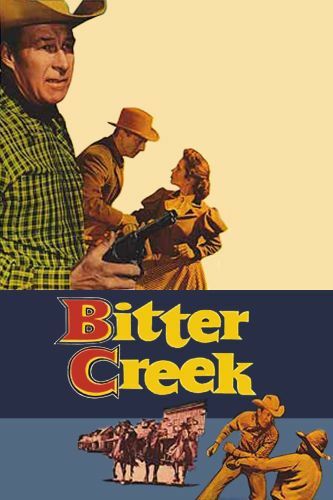 Neither a B nor an A picture, Bitter Creek is a solid western programmer, offering an excellent, unglamorized performance by Wild Bill Elliot. Though officially prohibited to do so by the Production Code, the film is motivated by revenge. Elliot arrives in Bitter Creek seeking retribution for the murders of his brothers. He suspects that powerful rancher Carleton Young is responsible, but has no proof. In the course of events, Elliot behaves with the same cold-blooded ruthlessness as the villains, with no concessions made to the kids in the audience: this, of course, results in a far more powerful film than usual. Beverly Garland is well cast as the vacillating heroine who believes in Young's innocence until it's almost too late.